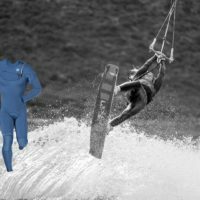 We are excited to announce our partnership with North American SnowKite tour (NAST). Call 831-566-0918 for specifics during the demo days Dec 22 – 26. The weather was not our best ally that day but we definitely made the most of it, that’ s for sure. Just look at the pictures and some are definitely worthy or royal treatments. 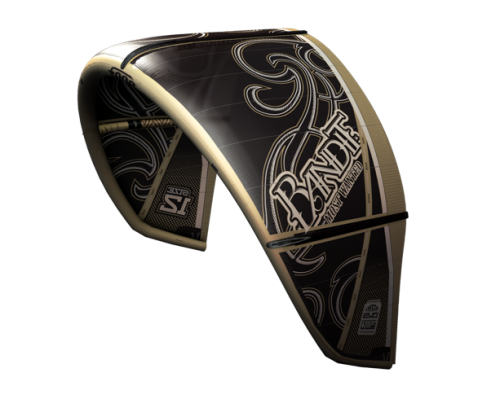 Find out more about the new Stand up Kite The Source, the Bandit 4. 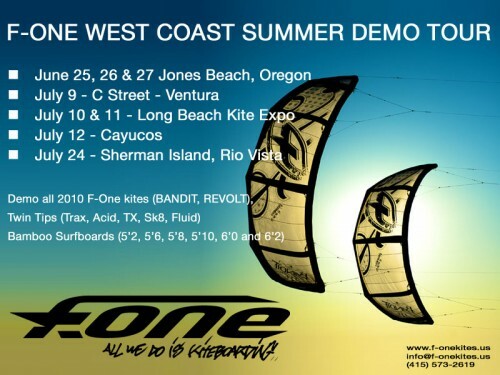 F-One Americas will unveil the 2011 F-One line for American market at the AWSI demo event, September 17-19 in Hood River, Oregon. 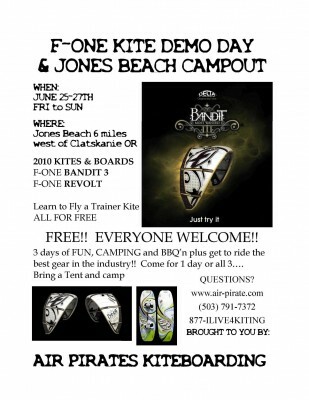 The Kiteboarder Interviews F-One’s Raphael Salles this Friday – Got Q’s on 2011 Gear? 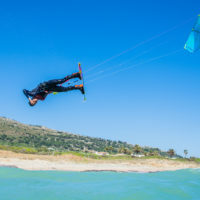 Live from Mauritus, F-One’s Raphael Salles will be joining The Kiteboarder’s for a podcast this Friday regarding the 2011 line. 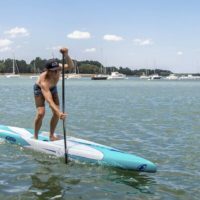 Great wind, great downwinders, good waves, all you can ask for plus the chance to try the new Bandit 4, twin tips and surfboard. 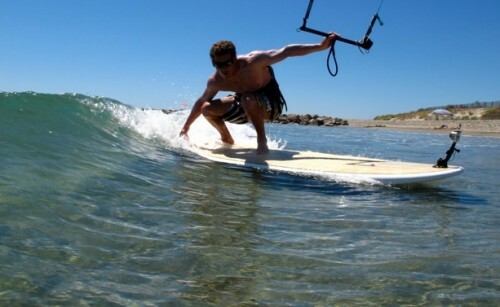 Come and try the Source, the first dedicated kite for Stand Up Boarding. Full US demo tour. Jim Buttrick, regional F-One rider, participated at the KB4C. Great event for a great cause. 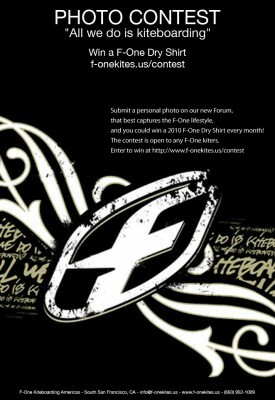 Submit a personal photo that best captures the F-One lifestyle and you will have a chance to win a F-One Dry Shirt every month.